Wrangler Jeans is a denim brand, which has been around since 1947. The outstanding quality of the jeans material makes the brand stand out among all others and has gained quite a lot of popularity for the company. Apart from casual every day wear jeans, Wrangler also has a line of retardant and flame resistant jeans, which are among the bestsellers. These jeans meet the Hazards Class 2 classifications and hence are also good for industrial use. The jeans are available in different styles and fits. With Wrangler Jeans you don’t have to comprise with your comfort and fit, while achieving a nice look. Wrangler is an everyday use, all-purpose denim brand. Since their inception, the company has been focused in creating products based on the real life experiences of people. The company believes that the clothing they produce should well meet the requirements of the people wearing it. The brand started out in 1947, with its headquarters in Greensboro, North Carolina. They started out with the idea of creating innovative clothing and apparels like jeans, jackets and shirts for the cowboys. Special features and functionalities were added to these clothing like belt loops, yoke seams for wallets and watch pockets etc. and since then the brand has been adapting to modern needs and looks with the passage of time. In the present day, jeans is worn almost by everybody. Millions and millions of people wear jeans as an everyday clothing. Wrangler is totally dedicated in creating products that improves the functionality of your everyday wear jeans and make a positive impact on your life. Wrangler moves with time and is determined to create new, innovative, stylish and comfortable every day denim wear. These jeans not only make a style statement but also are very authentic and durable. What Makes Wrangler Jeans the Best? When it comes to denim wear, the first brand that pops up in your mind is probably Wrangler and rightly so. Though jeans were mainly used to be worn by manual workers, but these days it is a popular clothing choice and is a typical choice for office, college and school outfits. Let us see, what makes Wrangler the best choice when it comes to denim wear. If you love your blue jeans, then Wrangler is possibly the best choice for you. It is one of the most widely known and trusted brands. Along with other popular denim brands like Levi’s and Lee, Wrangler is also set as a standard mark for high quality, authentic and durable denim wear. Wrangler offers both working and fashion denim apparels for both the genders. This line of denim wear is not just a brand, it may very well be an American fashion icon. Although the company mainly focuses on creating durable and top quality jeans, but they are also offering a line of other clothing items like jackets, shirts and belts. The jeans produced under Wrangler umbrella, is assured to be best in quality and can stand up to the rigorous manual work activities. The jeans durable, long lasting and highly comfortable to wear. www.froutlet.com has a nice collection of Wrangler jeans to buy from. Visit the website to know more. Another great thing about Wrangler is that the company has now released a fit guide for its users. 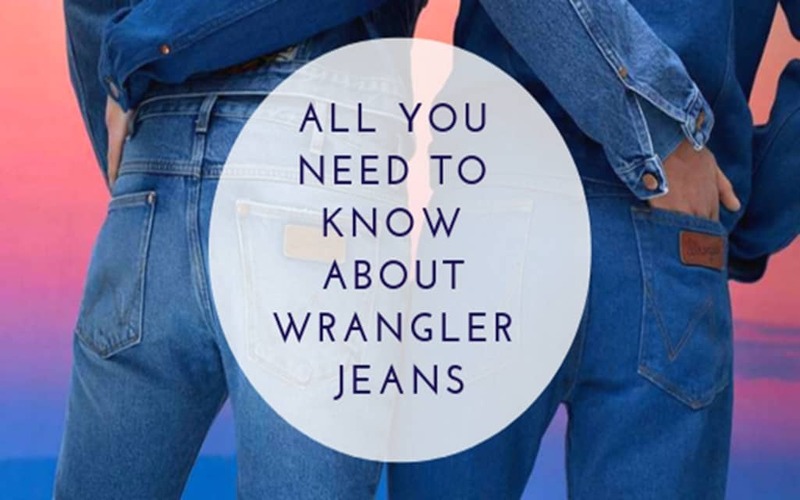 Using this guide all the Wrangler customers can now find their perfect fit and thus makes selection of clothing convenient and easy for the customers. Wrangler jeans have been dominating the American market for a long time now and it has also made a name in other international markets as well. The versatility and the comfort of the product makes Wrangler jeans a popular choice among the customers.